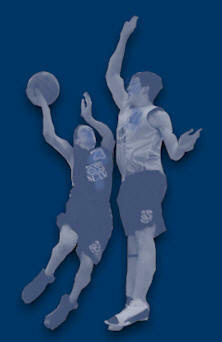 While growing up and as a young man Bruce Rogers always participated in sports and was a pretty fine athlete. In high school he played football, basketball, hockey and track. From 1954-1964 he played softball for RCAF teams where he was stationed and also competed in swimming and cross country running. Later he played fastball and basketball in Chatham, New Brunswick; Ottawa, Ontario and Portage La Prairie, Manitoba. In Chatham his basketball team won the Maritime Senior “B” Championship and he is a member of the “Jets” fastball team that was inducted into the Portage La Prairie Hall of Fame. Like many coaches, Bruce became involved in coaching when his sons became interested in sports. When Bruce and his family moved to Wetaskiwin in 1972, Bruce had already coached in other communities. Because his oldest sons Ron and Rick were at the midget level, in 1973-74 Bruce volunteered to coach the Kinsmen Kings Midget Hockey team and the Wetaskiwin Motor Midgets Fastball squad. Many men can attest to the positive influence that Bruce had on them as teenagers when Bruce was their coach in either hockey or fastball during the 1970’s and 1980’s. It is for his dedication, commitment, enthusiasm, effort, achievements and countless hours spent in coaching and organizing these two sports that Bruce is being inducted into the Wetaskiwin and County Sports Hall of Fame. 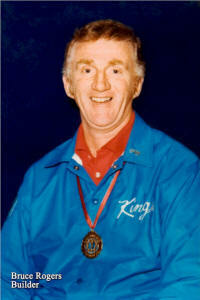 Bruce coached the Wetaskiwin Kinsmen Kings Midget Hockey team from 1973 until 1980. 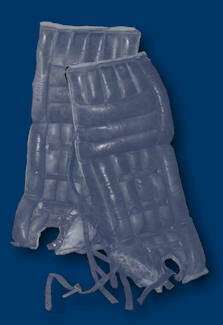 During those seven seasons, the team was very successful and produced many outstanding hockey players. Twenty-three of the young men that Bruce coached went on to play at a higher level, either junior, college or in the NHL. The first year that Bruce coached the Kinsmen Kings (1973-74), they won the Midget “A” Jasper Invitational Hockey Tournament. They won the same tournament the next year (1974-75). In 1976-77 the Kings were Midget “A” Provincial Champions. In 1977-78 the Kings won the “A” Division of the Drumheller Midget Tournament as well as the gold medal in the Alberta Winter Games. In 1978-79 the Kings won the “B” Division of the Edson Midget Hockey Tournament and in 1979-80 the team advanced to the Provincial playoffs. Besides coaching, Bruce was also involved in the administrative aspect of hockey. In 1974 Bruce coordinated a visit and an exhibition game between the Kinsmen Kings and the Yellowknife Midgets. In 1979 Bruce organized a hockey game between the Wetaskiwin Junior All-Stars and the Sherwood Park Crusaders, a game that saw approximately 800 in attendance with the proceeds being donated to the Wetaskiwin Minor Hockey Association. In 1979-80 Bruce served as Vice President of the Wetaskiwin Minor Hockey Association. In 1980 Bruce organized the Midget “B” Provincial Hockey tournament as well as coordinating a fundraiser between the Red Deer College Kings and the Camrose Lutheran College Vikings (both teams had former Kings Players). Again there were over 800 spectators in attendance. Bruce’s involvement in fastball began in 1974 with the Wetaskiwin Motor Midgets and that year the team won gold medals in the Alberta Summer Games and the Western Canadian Championships. In 1975, the Motor Midgets were again Alberta Summer Games gold medalists. 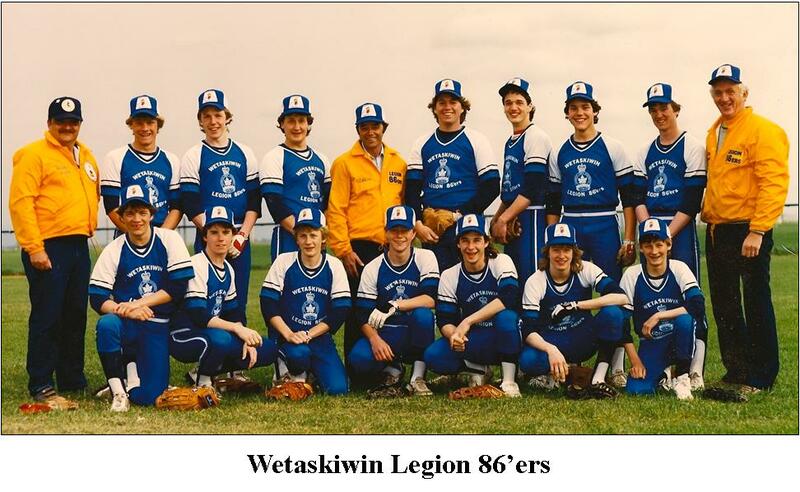 In 1976 Bruce moved to the junior level and coached the Wetaskiwin Sport Shop fastball team. They were Provincial Champions and represented Alberta at the Canadian Junior Men’s Softball Championships. In 1978 and 1979 Bruce coached the Wetaskiwin Junior Car Capitals and in 1979 the team participated in the Provincial Championships. 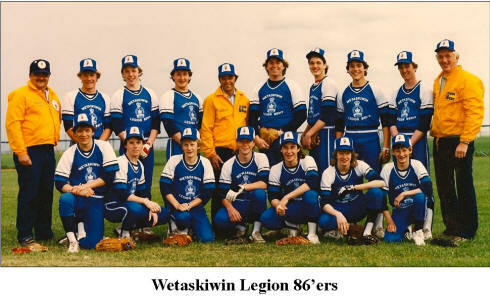 In 1979 Bruce was also the assistant coach for the Wetaskiwin Sport Shop Midgets. The Midgets represented Alberta in the Western Canadian Championships and won the gold medal. Bruce then started coaching younger aged boys and in 1980 coached the Mite ”A” fastball team to a silver medal in the Provincial Championships. In 1984 and 1985 Bruce coached the Bantam “B” fastball team and the 1984 team won the bronze medal at the Provincial Championships. For his outstanding work in the field of minor sports, in 1980 Bruce was given an award by the Alberta Minor Hockey Association. The award was presented to Bruce at a surprise “Roast” held in his honour. For his contributions and achievements in coaching hockey and fastball, Bruce is most deserving of his induction into the Wetaskiwin and County Sports Hall of Fame.